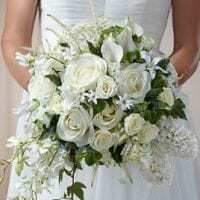 Your bridal wedding bouquet can speak volumes about your style and preference in the type of flowers you choose. It is important that it stands out and gets noticed as it is an important and never overlooked aspect of your wedding. Your bouquet should show your style, your taste in flowers and your ability to plan and organize a wedding successfully, even if it is with the help of a planner, you also have input as it’s your wedding. You can visit a local flower shop in Toronto and look at the different varieties that are available. Nowadays, no flower is shunned for a bridal bouquet, as they are all beautiful and all have potential when mixed with other flowers, or if they are accessorized. 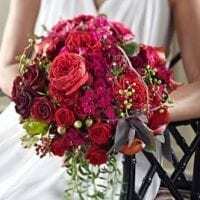 When you have decided on where to buy your bridal wedding bouquet in Toronto, you can choose whether you want bulk flowers Toronto, or wholesale flowers Toronto. Some of the more popular choices for wedding bouquets are roses, hydrangeas, lilies of different sorts, orchids, baby’s breath, whether used with other flowers or used by itself, peonies, stephanotis and a host of other flowers. 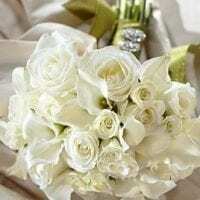 One of the more popular and longest lasting wedding bouquet flowers is the orchid. Orchid blooms are long-lasting and beautiful, so even when your other blooming flowers have wilted, the orchid will continue to bloom for a long time after. One great thing about the orchid is that when you buy it from a local florist and it is used as a wedding flower, you can still have your bouquet for weeks after to prolong the memorable event in your mind. If you order them from bulk flowers Toronto, then they can supply you with whatever your choice is, all you have to do is to decide where to buy your wedding bouquet flowers in Toronto. 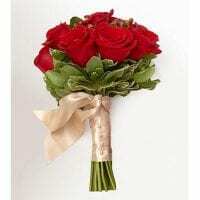 Get your favorite selection at wholesale flowers Toronto and shine on your wedding day.